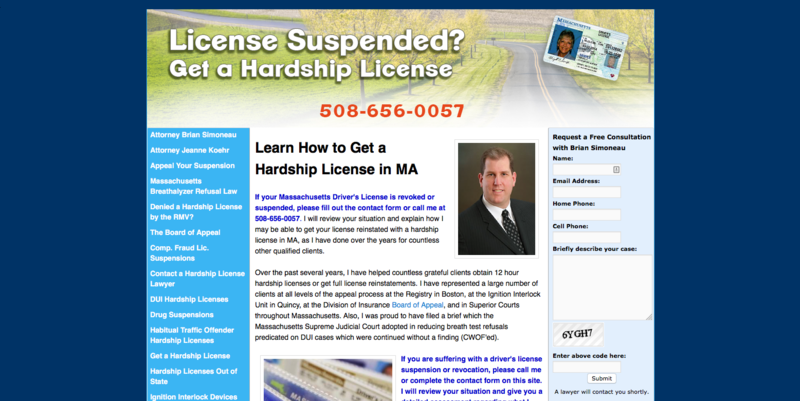 Attorney Brian Simoneau a hardship license lawyer in Massachusetts contacted GetReady Web Marketing because he noticed a big drop in his website traffic after one of the Google Penguin algorithm updates. We have been working with him to provide a variety of search engine marketing services including: monthly consultations, search engine optimization and Google Adwords campaign management. We have been successful at boosting his website traffic so he is getting more qualified leads.